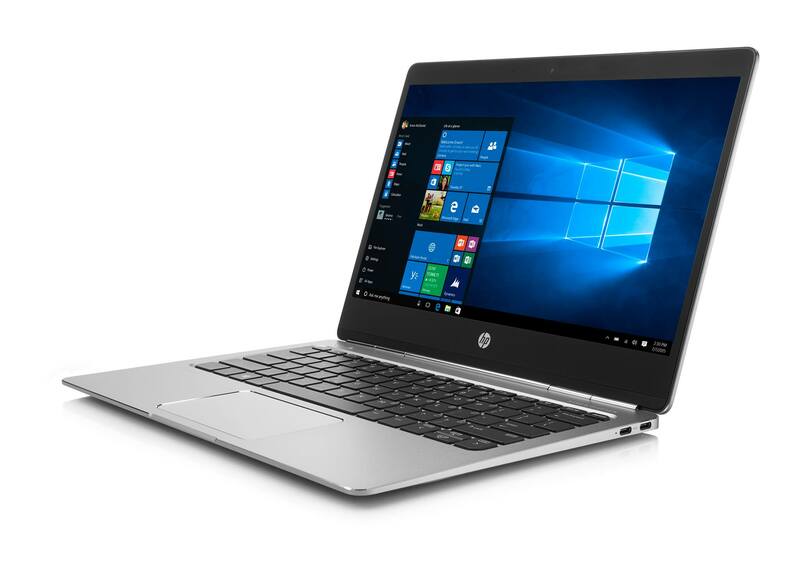 HP Elitebook Folio G1 Review: Light, Right And Very Bright! If the proverbial computing deity appeared before you and asked you what all would you need in your dream laptop, what would your response be? Whatever you can think of, HP has already packaged in this wonderfully premium laptop. Ample memory, brilliant display, enough muscle to handle personal stuff and work stuff. This one has all this plus an absolutely premium build and design. Here is our review of this scene-stealer from HP. The first thing that stands out about this device is the build. Every part of it screams class. The class isn’t understated, it is a very loud and clear proclamation of class in design and crafting. The laptop will definitely give any top end notebook a run for its money. With its ultra-thin, matte finish on a silver aluminum chassis, the device is a very distinctly classy one that has a tad bit of a resemblance to the 12-inch MacBook. But the shiny silver hinge , subtly understated curves and the premium yet totally sturdy feel make it stand apart. It has the same class on the inside. There’s noticeably shiny black bezel that’s very extremely thin on the sides, but has enough room on the top for a webcam. All in all, it looks like Katrina Kaif and performs like Kajol. 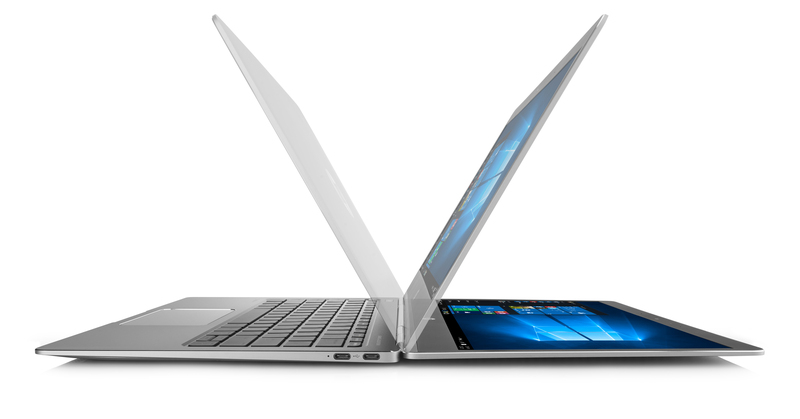 At 11.5 x 8.23 x 0.47 inches, the EliteBook Folio G1 is quite literally pushing the envelope on being the thinnest around. At 2.14 pounds, it is also on the lighter side – in indian parlance, it is less than a kilo in weight. So here is something that looks cool, feel great and can be carried around with ease. HP’s laptop comes standard with TPM encryption and, with its optional Core m7 CPU, offers Intel vPro remote management. To go with that, it has an infra-red webcam that goes very well with Windows 10 Hello Biometric Login. We saw that the device was quite efficient and recognizing faces even in low light conditions. A word of wisdom from us, if you wear glasses, you need to let the device read you with and without them initially to be recognized correctly. The Folio has cleared the MIL-STD 810G durability tests for dust, vibration, shocks and high altitudes. But it is worth noting that the keyboard is not spill resistant and if you spill stuff on it, it’s all on you, don’t blame the notebook. The left side has two USB Type-C ports, that is nifty if you want to charge the device and connect it to a peripheral at the same time. The laptop comes with HP Client Security, a very thoughtful and useful set of tools that includes a password manager, drive encryption software and HP Spare Key, which gives you the ability to login without a password or Hello authentication. You can actually designate any of your own bluetooth devices or even your phone as a token that unlocks your computer. We found this very handy when we were using it on the move or in environments where the surface on which we placed the laptop was uneven and hence uncomfortable to type easily. Even when we were in crowded location where we had people looking at the keyboard and too many behind us for facial recognition to be smooth. The Spare Key is quite a lifesaver. The device also saves a safe and clean copy of the BIOS in a secure location, so in the event of a BIOS corruption, the clean one is replaced immediately, thus averting any major damage. The 4K panel can reproduce an impressive 161 percent of the sRGB color gamut, which is way more than ultra-portable category average by long miles actually. The colors just stood out and popped perfectly. We tested Full HD and Quad Video on it and it felt very close to perfection. The hues are right and light when needed and dark where required. They were very easy on the eye and quite vivid by category standards. We were very thoroughly pleased with the display. And yes, it supports touch too! Now that is a double whammy. The panel was very luminous and readable in outdoor and indoor conditions. The panel delivered precise color output even when tilted at 45 degrees. As shown in the image, the panel can be turned flat to be 180 degrees with the keyboard. The EliteBook Folio G1’s bottom-mounted Bang & Olufsen speakers provided crystal clear audio that was more than loud enough to fill our entire room with spatially correct sound. For the time that we were testing it, we could live in a world where we could summon up A R Rahman, Mohd Rafi and Kishoreda to come and sing for us whenever we felt like it. The low notes, bass, the cowbells, the cymbals they were are clearly distinguishable and audible. We were quite impressed by the sound delivered given the thin nature of the device and size of the actual speakers. The audio is right up there with the best in class devices. Even with the headphones on, the quality of sound was maintained and it was very good. 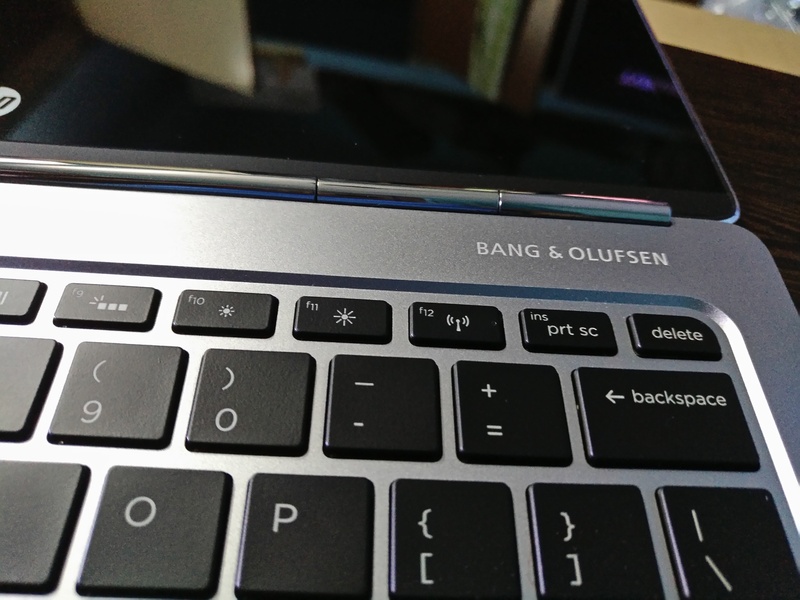 Given the thin chasis and the overall size, we must say that the keyboard and touch panel were one of the most responsive and impressive ones that we have reviewed this year.the keys have only 1.05 mm of travel, which is twice as deep as the 12-inch MacBook’s keys (0.5 mm) but far less than a typical laptop, which has 1.5 to 2 mm of vertical space beneath the keys. 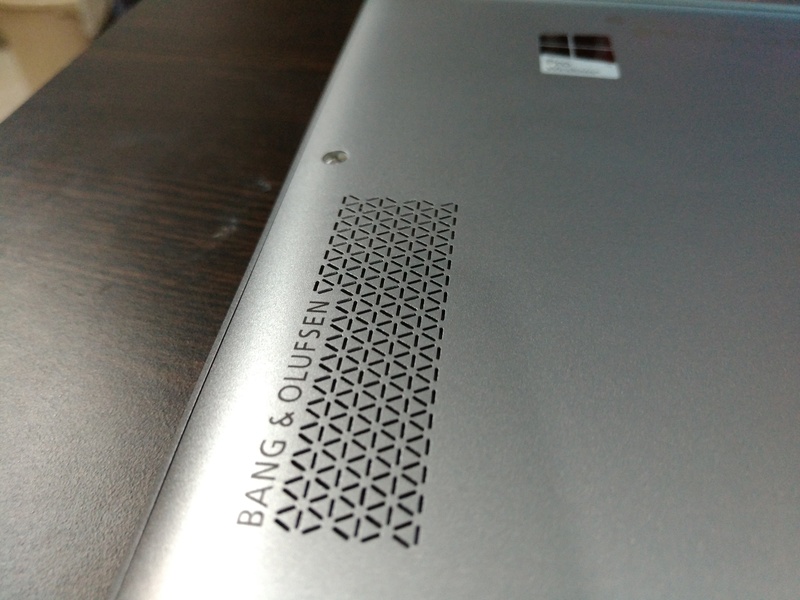 The machine comes with 8 GB RAM and 128 GB SSD, the storage capacity tops out at 256 GB and that is one issue. In the business class segment, we expect it to support 512 GB or up to 1 TB. The battery lasted a good 6 hours with the UHD 4K panel on a single charge and if HP had managed to get that up to 8-9 hours it would have been the icing on the cake. The other worrying factor is that most of us have HDMI or USB 3.0 peripheral and this means that we need to get adapters of all sorts for them to connect to this device. At a starting price of INR 1,28,000/- the Elitebook Folio is truly Elite! For those who are looking for a portable productivity companion that can double as an entertainment hub and do not mind paying a premium for it, this will be a brilliant option. There is nothing less than premium about this notebook. In short – Light, Right And Very Bright but don’t hold your wallet tight.